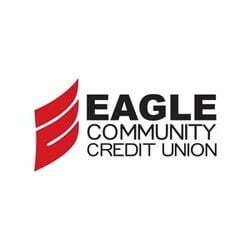 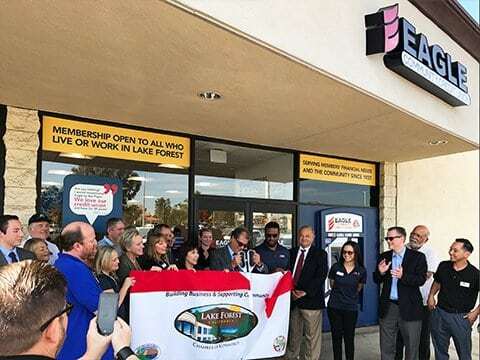 Long-time Westamerica client Eagle Credit Union looked to us for help with creating the signage and branch experience in their newest Lake Forest, CA location. 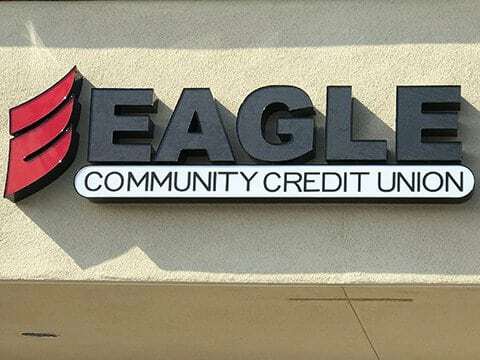 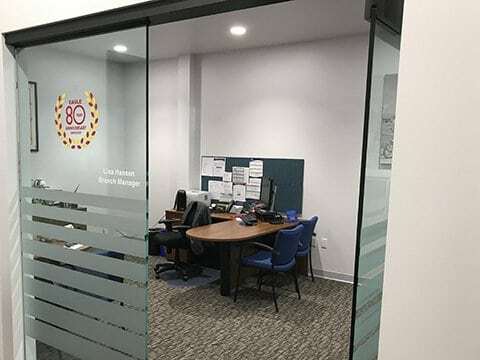 Our Wide Format Merchandising and Signage experts worked with the Eagle team to build an innovative, exciting and effective solution for their new small footprint format. 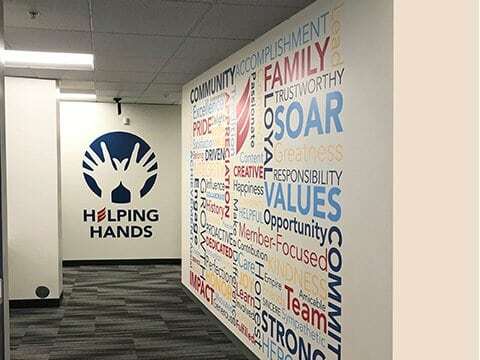 This was a new build, so the team was able to start with a blank canvas and develop a comprehensive solution. 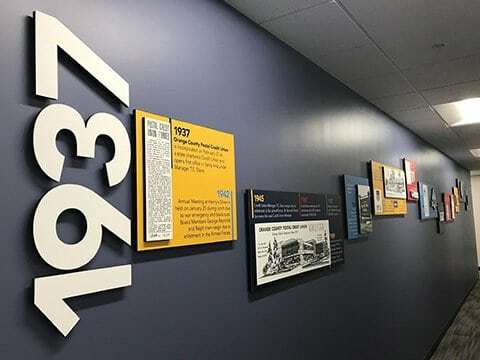 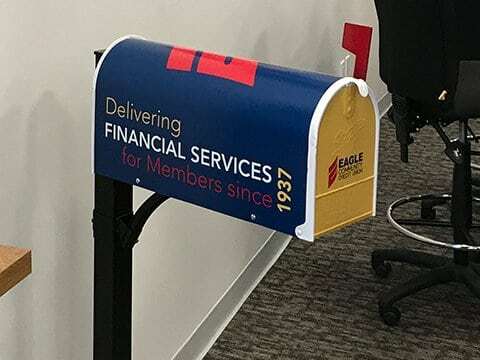 Our creative team built and wrapped a mailbox display to reflect the roots of the credit union in serving postal carriers and created a “Wordwall” graphic that portrays the key attributes of the Eagle member experience. 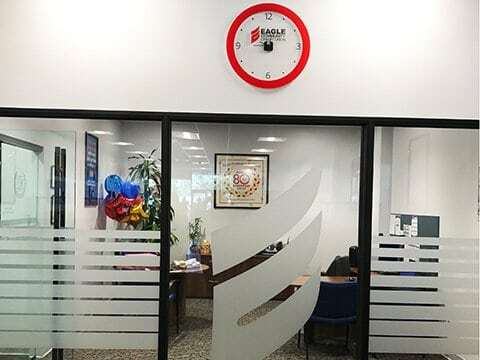 Westamerica even customized the clock face to match Eagle corporate graphic standards and added faux frost dealing to Eagle’s office windows.